Bauhaus (adj): Early 20th-century modernist design influence found in architecture, furniture and lifestyle products. Cape Cod has long attracted artists, and the legacy of one art colony that flourished in the middle of the last century is an inventory of architecturally revolutionary houses tucked into the landscapes of the Outer Cape. Walter Gropius, who founded the legendary Bauhaus design school in Germany, moved to the United States in 1937 to teach at Harvard University; he was followed by a group of architects, designers, artists and intellectuals. On the Outer Cape they connected with a group of American architects and thinkers, and an art colony was born. Four decades later, there were about a hundred “mid-century modern” houses in the area that served not only as shelters but also as laboratories for exploring innovative ideas about materials, color, light and space. 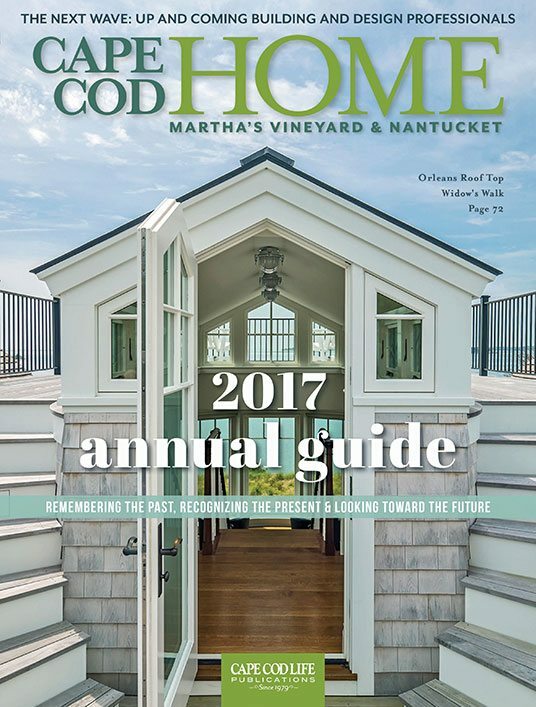 The Cape Cod Modern House Trust, founded by architect Peter McMahon in 2007, seeks to document and preserve these houses. In a book he coauthored with Christine Cipriani, Cape Cod Modern: Midcentury Architecture and Community on the Outer Cape (Metropolis Books 2014), McMahon tells the inspiring story of these European and American visionaries who believed in the power of architecture to integrate man with nature and to foster community. The modern movement is characterized by simple geometric forms, elements that blur the separation between indoors and the natural setting, and the creative use of inexpensive, mass-produced materials. Today, nearly all of the Cape’s mid-century modern houses are in private hands. When the Cape Cod National Seashore was established in 1961, several modern houses on seashore land were scheduled to be demolished. Through a creative partnership with the National Park Service, the Cape Cod Modern House Trust leased and restored three of these federally owned houses. In the summer, the trust offers public tours of the restored houses, and in exchange for a donation, guests can stay overnight.